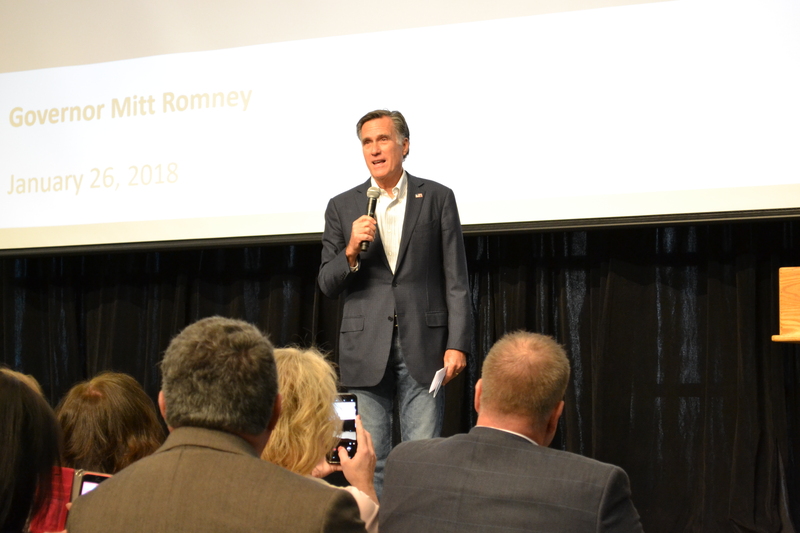 ST. GEORGE — Former presidential candidate Mitt Romney was among the guest speakers at the Utah Farm Bureau’s “Fusion Ag Conference and Trade Show” in St. George Friday afternoon. 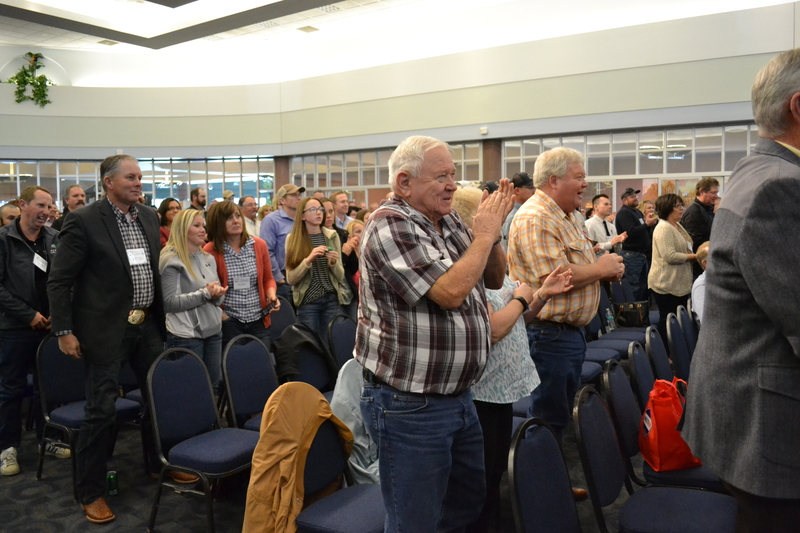 Hundreds of farmers from around the state attended the second day of the conference at the Dixie Center St. George, which provided networking opportunities and agricultural advocacy resources. Additional keynote speakers included Lt. Gov. Spencer Cox and newly elected U.S. Rep. John Curtis. 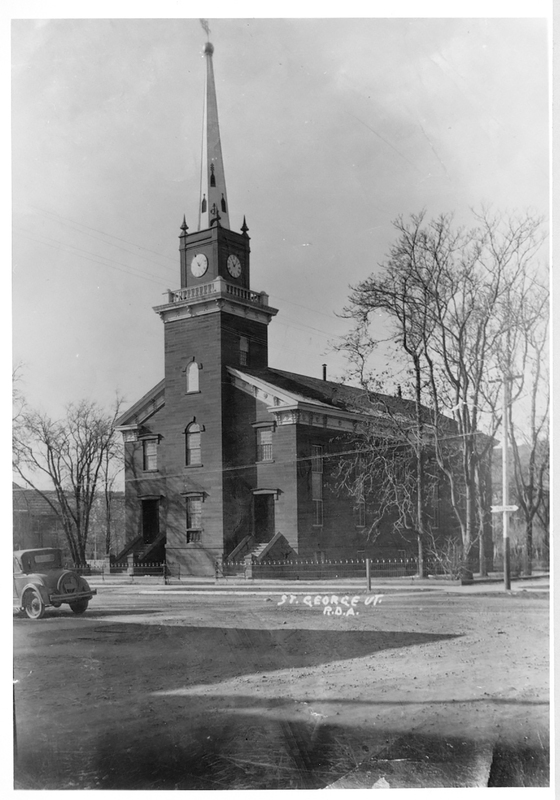 Romney began his speech by talking about his family’s roots in Southern Utah, including his great-great-grandfather Miles Romney who designed the St. George Tabernacle. Known for his specialty in designing spiral staircases, Romney said his great, great grandfather clashed with Brigham Young on how far up the tabernacle’s spiral staircase would go in relation to the building’s interior balcony. It is widely speculated that Romney will run for U.S. Senate in Utah this year to replace the retiring Sen. Orrin Hatch, but he has yet to confirm that speculation. 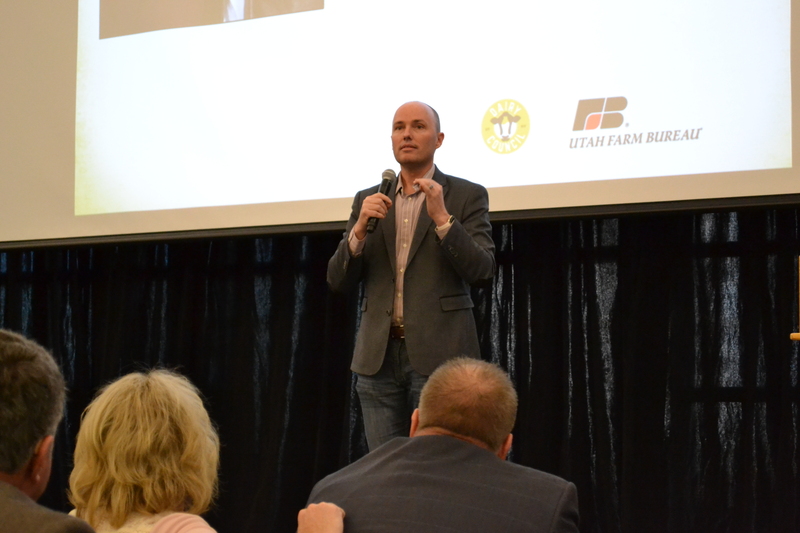 Even so, in his keynote address, he outlined some ideas for his vision of improving the federal government while addressing some of the concerns of rural Utahns. Romney expressed optimism for the future of the country, saying it has the potential to lead the world with a large young workforce to help drive the economy. He also said innovation and technology will be major drivers of growth. However, despite his optimism, he also said there are several problems facing the nation, issues that are going to need to be addressed by the federal government. The federal deficit as it relates to entitlement programs, global warming, poverty, wage stagnation and increasing automation are among some of the issues that Congress has not but will have to address, he said. He said federal legislators should look to Utah for some solutions. Lower growth in government spending. While these trends are encouraging, he said, there are still problems in the state, pointing out several rural counties that have had shrinking economies in the last decade, including San Juan County in Southern Utah. Several steps can be made to help such economies grow, he said, including locating new state government facilities in rural areas to stimulate their economies, increasing access to broadband internet services, improving hospital infrastructure and payment in lieu of taxes for counties in which most of the land is federally owned. On the subject of federal public lands, Romney said he thinks the Antiquities Act needs to be reformed, suggesting that the president should have to get preapproval from Congress or the local legislature before designating national monuments. His ideas on immigration were met with audience enthusiasm, receiving a round of applause after suggesting that states should be able to make their own decisions on how many work visas may be issued to immigrants, rather than quotas set by the federal government. 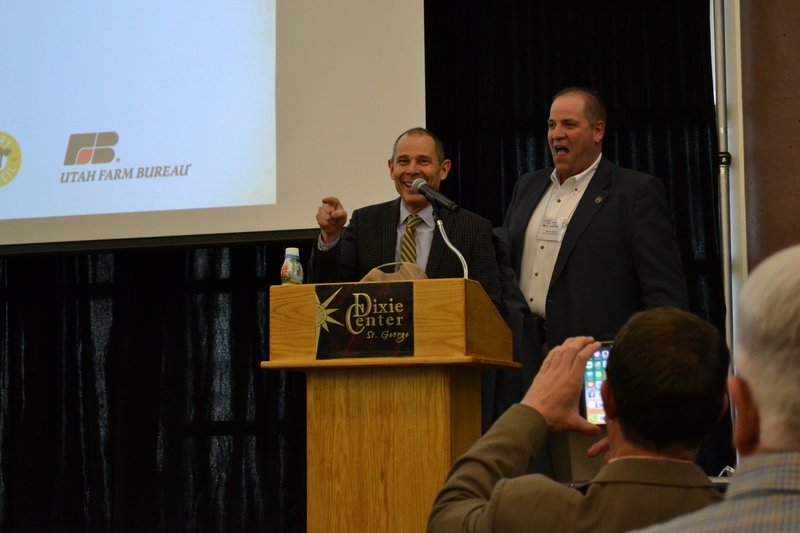 In his address, keynote speaker John Curtis, who was recently elected through a special election to represent Utah in the U.S. House, said he’s looking to tackle several areas of concern to farmers, including tax reform, immigration, improving rural infrastructure and regulatory reform. Lt. Gov. Spencer Cox, while not outright committing to it, confirmed again in his keynote address that he is thinking about running for Utah Governor when Gov. Gary Herbert retires. Cox, who has an agricultural background, told the conference attendees that he is working to give greater representation to farmers and other rural professions. The Fusion Conference continues Saturday with a number of breakout sessions discussing an array of agricultural topics. Tickets and registration can be obtained in person at the Dixie Center St. George, 1835 S. Convention Center Drive. I MISSED A LIVE MITTENS!!! I FEEL TERRIBLE! Romney had his day in the sun and showed his colors. He may be a Massachusetts moderate but certainly not a Utah conservative. Won’t get my vote. We are fortunate to have Larry Myers from here in St George running for the US Senate. Larry is a man of integrity who is a true constitutional conservative. Do a little research, go to one of the many local meetings Larry Myers has and ask any question you’d like. We can do so much better than Mitt Romney. you can have all the man crush you want on Larry Myers, but Mitt is an absolute lock to win this nomination. I hope Romney doesn’t think Utahans can teach the country how to drive. Well, the LINE IS COMPLETE BS. Romney cannot teach us anything he lies to us and is a bigot and will not work with our president. Larry Myers is a better choice. No mitt the twitt!! !